Beardfish is a Swedish progressive rock quartet that formed in 2001. They are often compared to bands such as King Crimson, Yes and Genesis & while those are the kinds of bands that influenced them, they really are doing their own thing. The album starts with a narrative intro by Andy Tillison which flows nicely into the first track Voluntary Slavery and you can already tell that The Void is going to be somewhat different to anything Beardfish has previously released. 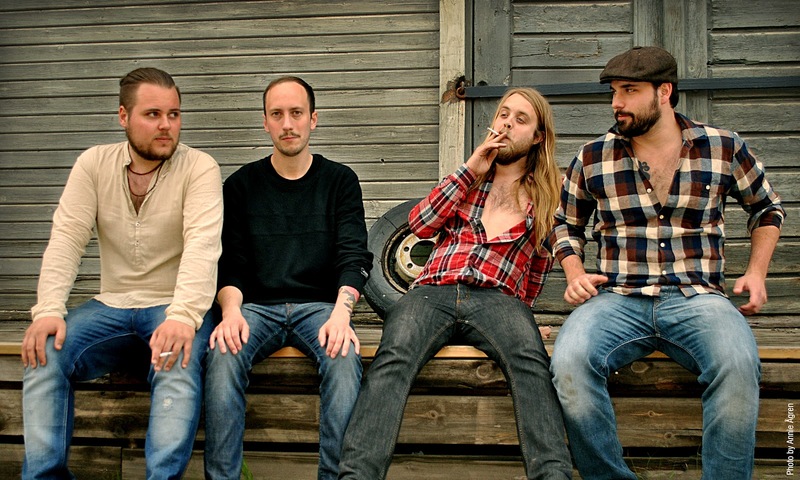 Alright, you have that classic Beardfish Swedish prog rock sound but it’s a lot heavier and still carries all of the atmosphere you expect. Even the vocals get heavier and more aggressive which, in spite of Beardfish not usually being like this, is awesome. The next song, Turn To Gravel continues with the heaviness of what I can only describe as ‘chunky’ guitars (is that even a thing?) along with a nice bassline that carries on through the song and Rikard Sjöblom’s wonderfully ambient voice. Lyrically, this one is quite catchy too which is always desirable along with head bobbing riffs. Immediately, the album has gotten darker. Now, They Whisper is next and it is by far my favourite track on the album. It’s got those familiarly proggy keyboards to start the track off so is immediately more uplifting than the previous two. It feels a lot more symphonic and has more of what we recognise from Beardfish and Swedish prog as a whole yet it still has an aura of darkness as it gets further into the song. It’s got almost a hypnotic feel to it as it gets near the end with an incredible two string bassline. It gets heavier and speeds up with This Matter of Mine before going into the absolutely beautiful jazz pianos on Seventeen Again which is definitely another favourite on the album. The pianos on this weirdly remind me of one of the dream sequences in Final Fantasy VIII where you’re in a jazz lounge underneath a hotel. The album continues with a mix of heaviness and atmospheric progressive rock and even some jazzy vocals on He Already Lives In You; then we get to the 15 minute epic that is Note. Note is technically a 4 part song but it’s all merged into one, however, you can tell when it’s changing which is helpful with this kind of epic. It starts off with the scribbling on some paper then some lovely, familiarly progressive rock synth and vocals that sound like they’re coming through a radio speaker. More catchy lyrics accompany the soothing progressiveness and it’s just wonderful. The track develops and we get some more jazzy pianos and vocals. He also sings about Goblins which is never a bad thing. The way I’m hearing Note is that they wanted to combine every different element of every genre they’ve included on this album into one song which is not to be sniffed at. The album ends with Where The Lights Are Low which has a southern rock/country feel to it which is utterly bizarre but Beardfish make it work, the crazy fuckers. All in all, Beardfish – The Void is an incredibly intense yet atmospheric epic of an album. They have managed to capture so many different emotions and genres and put them together in a way that totally works. I love the utterly bonkers diversity of it all. If you like progressive rock/metal, buy it. It has everything you want in a great prog album. 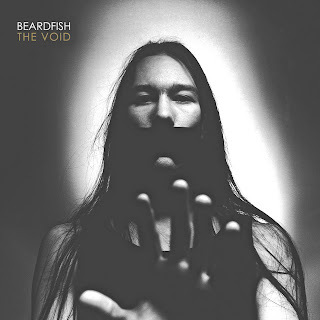 Beardfish – The Void is out on Monday 27th August on Inside Out Records and will be available as a digital download, Ltd. CD Digipak and 180g 2LP Gatefold Vinyl (+CD).